I was 22 and living in New York, finding my feet as a photographer. 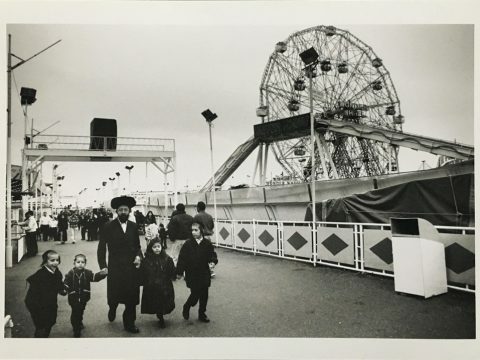 I would often take the F train down to Coney Island where I’d wander up and down the Boardwalk, too scared to approach anyone but happy to observe what was going on around me. I had my Dad’s old Pentax 35mm and got through roll after roll of b/w film. I could have picked many images from that year in NYC. I was sent all over the place to take photographs for the Time Out Guide to New York. A dream job for an aspiring photographer just starting out. There were many memorable moments – photographing a crazy gay club in Chelsea, spending hours trying to track down an Italian fruit and veg seller in the Bronx, an evening in a smoky Latino jazz club…but this image always stayed with me. Although I loved being in the darkroom, I’ve never been a great printer and I remember getting frustrated trying to print this well. It reminds me of a specific time in my life when I was discovering the joy of photography. 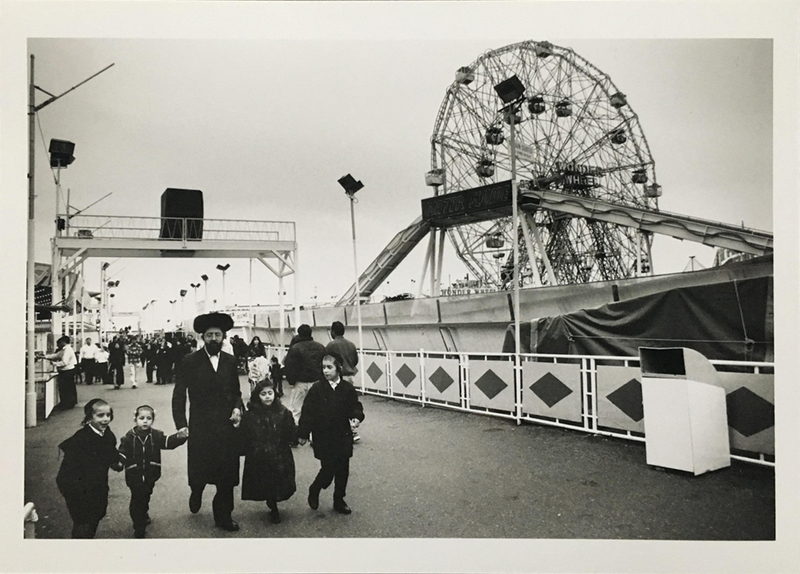 When I look at it, I see the innocence of the kids’ expression, the fact that there’s no Mum, just a Dad with his family on a day out, dressed in the Hasidic Jewish way with the Wonder Wheel in the background.